Saddle River is luxurious living on a grand scale! 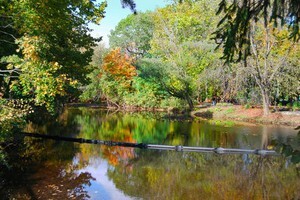 When the houses become homes and properties become estates, Saddle River is where a quiet respite prevails. Magnificent and opulent, this small borough in Bergen County New Jersey is home to just over 1000 prosperous families. With profound views, these kind hills maintain some of the most fabulous and resplendent residences in the country. Saddle River is home to over 20 places listed on the national register as historic sites, mostly private residences. Home to myriad community groups and clubs the town maintains a benevolent and caring ethos. There are 2 churches directly in town and various churches in the surrounding area, just a stones throw away. The town's school district offers residents pre-kindergarten through 5th grade in the Wandell School in town. The public school students from Saddle River may attend the Ramsey Public School districts middle school and then may attend either Ramsey High School or Northern Highlands Regional High school, which both offer children a renowned educational curriculum. 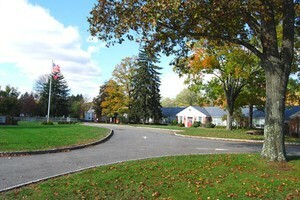 Also in the town is the Saddle River Day School, a k-12 private school founded in 1957. Children may also join one of the many sports teams offered within town such as baseball, softball, football, cheering, basketball, hockey etc. The town is serviced by large artery roads such as Rt 17 and the Garden State Parkway, making for optimal convenience.